5 Focus Points for New Bloggers - What actually matters? I know how overwhelming it can be as a new blogger, to surf through all of the information that is out there and to figure out what you should really be focusing on. It used to make my head spin. That’s why today I wanted to share with you 5 focus points that I wish I focused on more in the beginning of my blogging journey. Hoping this will help put your mind at ease. Disclaimer: Affiliate links are used. Read my disclosure here. When I first started my blog I didn’t realize just how important consistency is. I used to post maybe once or twice a month, some months I would write more than others. It was completely random! NOW I try to stick to a schedule and I make sure to post at least 2-3 times a week! When I started posting more consistently, my blog traffic began to increase! Your audience wants new content from you. They look forward to reading your new blog posts! This also helps to keep your audience coming back for more! Use a planner: I am obsessed with my Vision Planner from bloom Daily Planners. I talk all about how I use my vision planner to stay consistent and create a perfect content schedule here if you are interested in giving it a read. Choose specific days of the week to post: Maybe you have Mondays and Thursdays free? If so, those two days can be the days of the week that you decide to post new content! Choosing the same day each week to post helps your audience know when to check your blog for new content! Bulk create content: This can be tricky for some, but…sometimes I like to have one or two days during the week where I type up a few blog posts and get them scheduled! Having content prepared in advance is a huge life saver! Time block: It’s vital for me to time block. This is when I will block out times of the day and dedicate it solely to writing new content. I won’t do anything else during these times. I’ll even set timers to help me stay on schedule. Read more about staying consistent as a blogger here. You can also read how to consistently post your best content! Many times bloggers tend to give up on their blogging dreams because they beginning to get discouraged. Sometimes they will go into this blogging journey with one thing in mind and that’s – to make money. Yes, making money from blogging is so rewarding and a dream for many, BUT if you let that become the main focus, I can guarantee you that you will start to feel discouraged. Why? Because the money takes TIME and a whole lot of work! It may seem so easy to make money blogging, but it’s really not that simple! It took me about 6 months to make a full time blogging income, and before I got to that point I spent EVERY SINGLE DAY working my way up to that point. Most nights I would stay awake until 3-4am (mind you I had a full time job to go to too.) Every bit of free time was spent growing my blog and teaching myself. When I started my blog that wasn’t initially my focus. I thought, hey it would be cool to work full time as a blogger, but I didn’t think I could make it happen. I started my blog because I wanted to be happy, I love writing, and I wanted to help others go after a life they loved living. One day I decided to believe in myself and in my content & once I changed my mindset, it was possible! The thing is, I became obsessed with blogging. I was so obsessed that it began to affect my mental health… you can read about that here. Blogging is my passion and I love to do it! If you don’t have that passion you might find yourself losing motivation. You might start to feel upset because you want to make money from your blog and you see everyone else making money from theirs so why can’t you? I understand that struggle but you can’t let that stop you! It is so important to not compare your blogging journey to anyone else’s! Comparison is the root to all evil! “Blogging success” comes at different times for everyone! Just continue to write about what you love, continue to focus on strategies that help get your content in front of the eyes of others, and continue to build personal connections with your audience because THAT is what will take you all the way! If you don’t believe in yourself, then how can you expect anyone else to believe in you? If you are feeling unmotivated, give this a read! I think every blogger should really focus on Pinterest to help grow their blog audience! I didn’t realize just how powerful Pinterest was for my blog until I started focusing on Pinterest strategies to help. Before I started using Pinterest to grow my blog I was receiving about 5,000 monthly pageviews. Within a month of using Pinterest strategies, I grew my pageviews to almost 25,000. That was quite a jump!!! Pinterest continues to grow my blog traffic and I can’t stress it enough! These are my stats for the month after I used Pinterest Strategies compared to the previous month! I definitely couldn’t make this happen without Tailwind. Tailwind is a Pinterest pin schedule tool that allows you to schedule pins in advance and it will post your scheduled pins for you! You can literally pin in your sleep!! My stats wouldn’t have increased drastically without it. I put together an affordable e-course that will teach you all you need to know about using Pinterest to benefit your blog. It also includes a Tailwind strategies tutorial to help make sure you are using Tailwind to the best of your ability! I wish I started using Tailwind and Pinterest strategies sooner. There is honestly nothing more important than networking and community as a blogger! Something I quickly realized about blogging full time is that it becomes extremely lonely if you don’t connect yourself with other bloggers. I grew up in a small town … I am pretty sure I am the only “blogger” in my town. None of my friends and family can relate and they definitely don’t understand the full extent of blogging . Let’s be honest, making a living from blogging is a lot of work and energy. When I first started my blog a little over a year ago, I decided to also create a community, BossGirlBloggers, for female bloggers and entrepreneurs to come together and connect. The main focus I had for this community was to share my own blogging journey to help inspire and motivate other women who have a passion for writing and creating, to go after it! I truly believe that doing what makes you happy is the best way to live your life. I wanted this community to be a safe place for women to come and get their questions about blogging answered and to collaborate with other like minded women! This community has since then grown to over 31,000 amazing members whom I love dearly! I would love to welcome you with open arms if you are looking for a community of inspiring women & learning how to turn your blog into a career. Come join us! Besides finding community, you should definitely network and collab with other bloggers! Whether it be guest posting (when you write a post for someone else’s blog) or doing a collab post with another blogger. It’s so important to network! PLUS the more you get your website linked on others’ blogs, the higher you could be ranking on google! Guest posting and collaborating with other bloggers can help your SEO (search engine optimization) and DA (domain authority). This will help build trust on search engines and rank your blog and posts higher on searches. There will be days where you have little page views, maybe even days where you have no page views. That doesn’t mean your content isn’t worthy!!! If you are writing with passion, and you believe in all the words that you say, that is all that matters. The rest will follow. Building a trusting audience takes a lot of patience. It’s so easy to get discouraged when you aren’t seeing the stats that you want to see. But that doesn’t make you any less of a blogger. The more confident you are in yourself and in your content, the more others will have confidence in you too! Confidence can be attractive when it’s not cocky. AND don’t be afraid to write for yourself! Make yourself happy. Even if no one is reading your words right now, write for YOU. I promise the audience will come. Just believe. I hope you enjoyed my 5 focus points!!! Don’t let blogging stress you out. Once it becomes stressful, it becomes unenjoyable and that defeats the purpose!!!! Thank you so much!!! & oh my goodness it’s the best planner right!! This is what I needed Ell. Thank you as always. You always have a Great Content. looking to read for more from your blogs. This was insanely helpful! I feel like I’m trying to juggle with one arm tied behind my back. There’s so much to be done, so much to learn. I had a funny moment reading the very first tip because I AM free Mondays and Thursdays! Now I’m going to stick to those as days to post. I am so glad I could help you! (: Definitely take it one step at a time and don’t worry about being perfect (: There is no such thing! Just have fun with it! Thanks for this blog. I feel like I was reading about myself! Love all the tips. We do have a Pinterest but we don’t have tailwind yet. May have to check that out next. We both still work full time jobs but any spare time I am working on social media or reading other blogs trying to g to get more connected. I’m addicted! On Sundays I usually write 3 blogs to post for the next week but need to get on a better posting schedule! Thanks again! Thank you so much! So glad you enjoyed it! Tailwind is definitely worth it (: Seems like you are on the right track!! Keep going and don’t give up! Such a brilliant post, I’m gonna bookmark it definitely click on all your links to other post to read more. 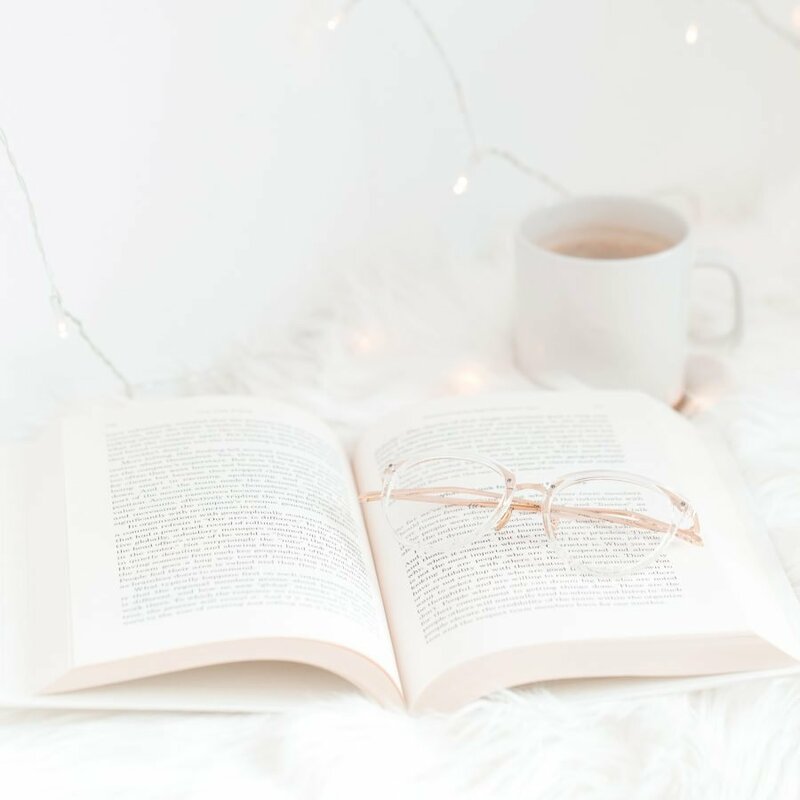 I have only just started blogging in September and I hope to use these tips to help my blog grow and become something that I can be really proud of. I’ve realised though the most important piece of advice I need to follow is to get myself a planner/notebook to write everything down because I need to be more organised! Thank you for writing this post and helping so many other succeed, it is this positivity which makes me love the blogging community. I’m really hoping to be able to do a few of your courses in the near future to really help me get going! Definitely got a new follower here! Thank you so much Alex! This means so much to me. So glad you enjoy my blog and the community!!! I have faith you are going to ROCK your blog! This post is so useful and motivating. There are so much to do and it is easy to lose focus. I will definitely focus on getting collabs. Thanks for this post, very motivating. So glad you found them helpful! Thank you!